Elite Deuce 2 Ball Roller also includes a deluxe bag tag.With the heavy duty construction, you won't have to worry about the hardware, you will only have to worry about knocking down all ten pins! Our free shipping can take 3-7 business days to arrive. We have options during checkout for express shipping and the prices would be based on your exact address. 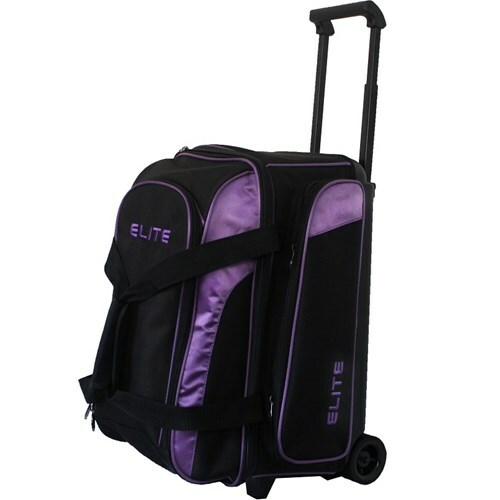 Due to the time it takes to produce the Elite Deuce Purple 2 Ball Roller ball it will ship in immediately. We cannot ship this ball outside the United States.